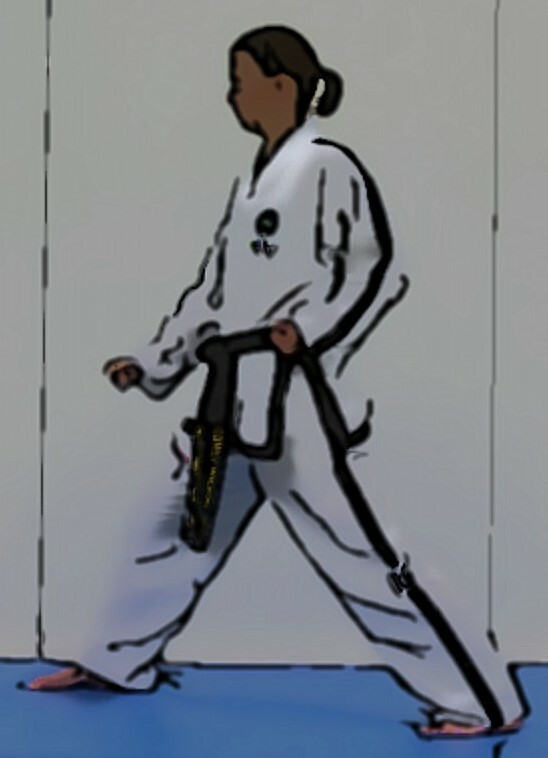 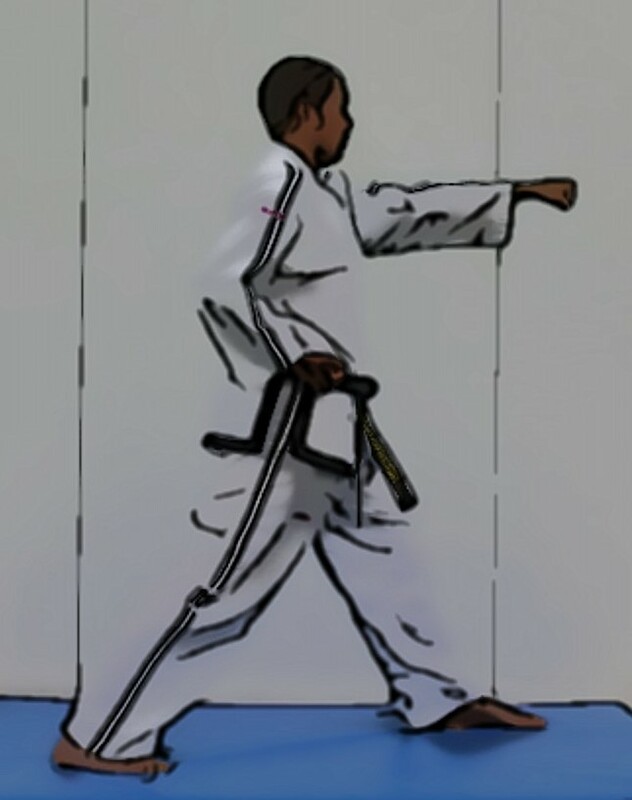 Move the left foot to B forming a right walking stance toward A while executing a low block to A with the right forearm. 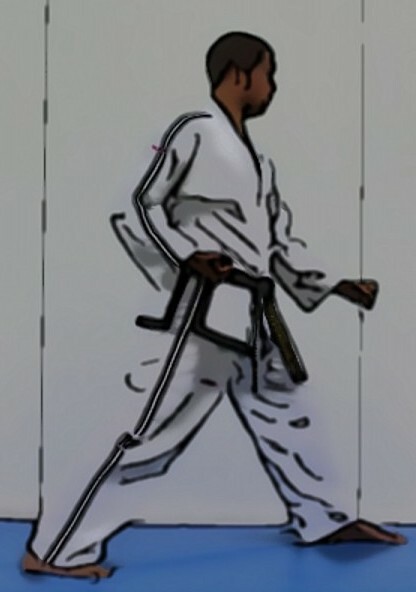 Move the left foot to D forming a right walking stance toward C while executing a low block to C with the right forearm. 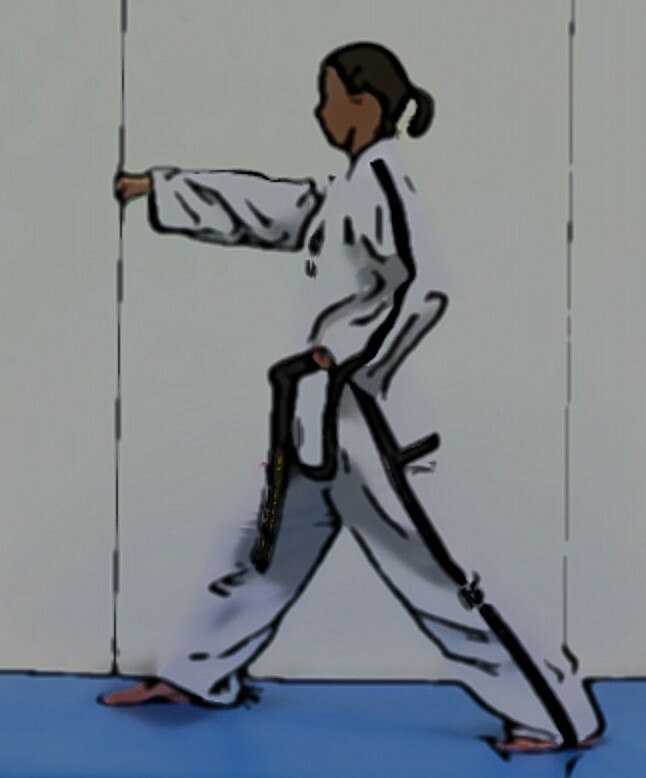 Move the left foot to A forming a right walking stance toward B while executing a low block to B with the right forearm.